Mr. Bolger has numerous awards on his racing resume including the 1959 Canadian National Motocross Champion, 250 Expert Class, a five-time sportsman rider of the year, a five-time winner on the Eastern USA Motocross Championship series, undefeated winner in 1965 Eastern USA v Canada International MX Series where he also won numerous races between 1962 and 1970. 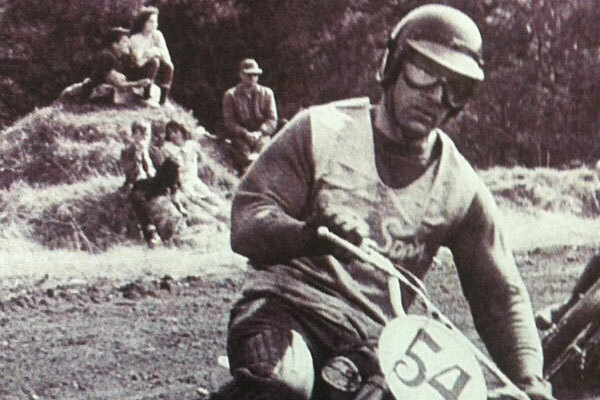 He was instrumental in establishing international off-road racing events in the 1960s when he also contributed to Cycle Sport magazine as an editor – a position he also filled for Cycle World (California). He raced ‘Scrambles’ and invented many parts and tools for bikes, some of which are patented by ‘Joe Bolger Products’. He was inducted into the AMA Hall of Fame in 2004.